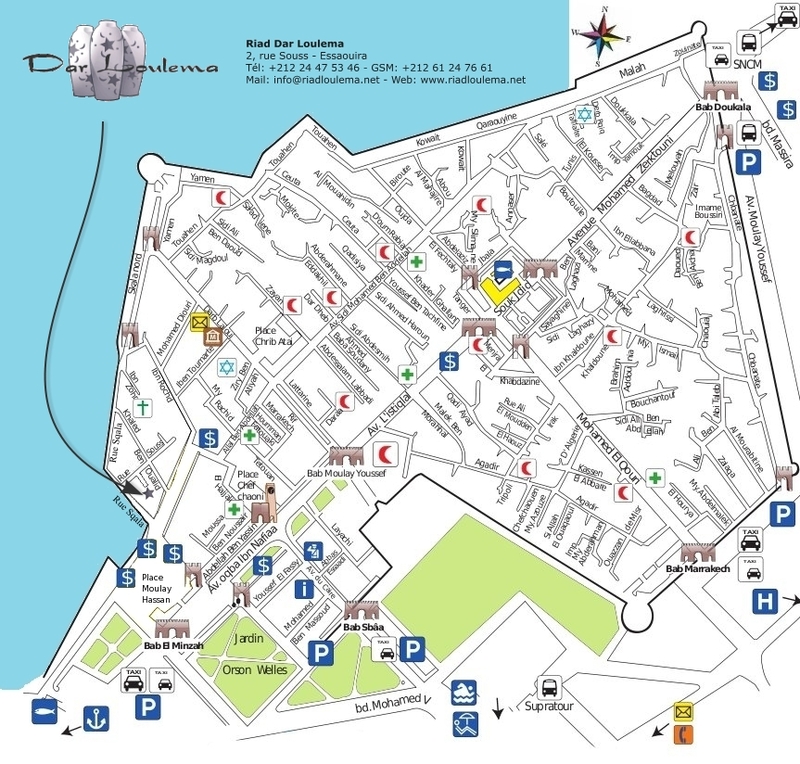 In the Medina, close to the port and the beach. Arriving from Marrakech, follow the Mohammed V avenue along the beach up to the port. Cross the Moulay Hassan Plaza towards the “Taros” restaurant. Take the “Sqala” street along the walls, and then the first street on your right (covered street). Supratour bus station at 500m. 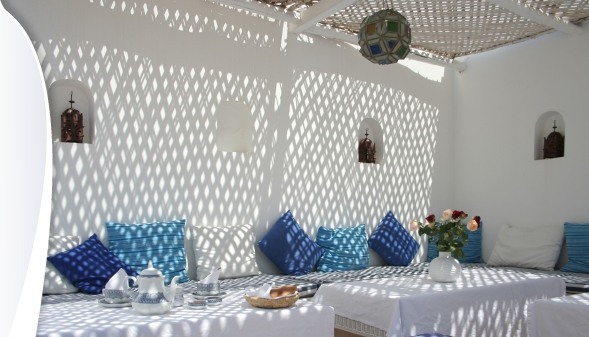 In Essaouira, the Dar Loulema riad welcomes you all year round with it’s 8 rooms and suites, a magnificent terrace overlooking the beach, the port and the island of Mogador.